On Monday, the Washington Post reports that EPA head Scott Pruitt was behind the dismissal of half of the members of the agency’s Board of Science Counselors. The 18-member board oversees the rigor and integrity of the scientific research guiding policy decisions coming out of the EPA, from climate change to air pollution. Even more alarming, a spokesman for the EPA told the New York Times their replacements may be representatives from the polluting industries themselves. 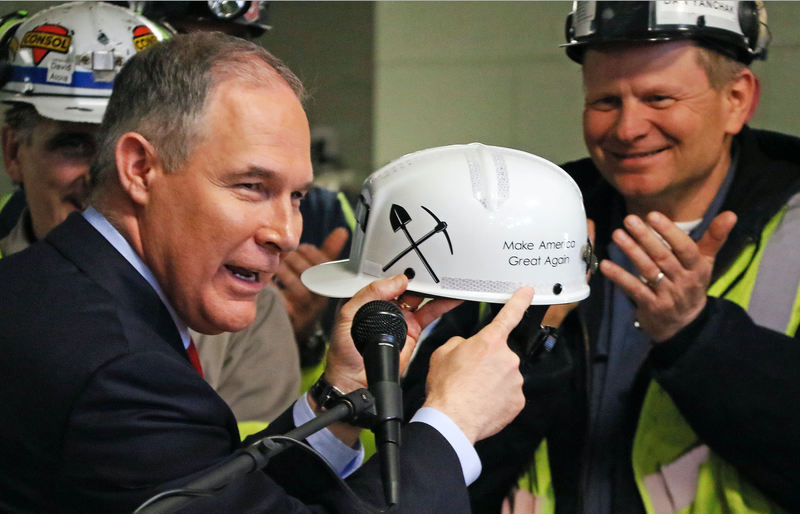 While the move has outraged some environmentalists, it seems completely in line with Pruitt’s longstanding goal of curtailing the EPA’s regulatory power from within. Pruitt’s career has long focused on both obfuscating climate science and trying to block environmental regulation. As Attorney General of Oklahoma, Pruitt stood by representatives from fossil fuel industries multiple times as he sued the EPA to block regulations. The nearly $240,000 he’s received in donation money from polluting industries was cause for alarm during his confirmation hearing. Now, these industries will potentially have an even greater influence on the EPA’s ability to formalize any regulation by weighing in on the integrity of the science used to develop policies in the first place. In his short time as EPA administrator, Pruitt has already taken major steps toward reducing the agency’s ability to protect the environment. Dropping experts who could challenge the scientific basis for his decisions might sound depressing, but it’s wholly consistent with everything else we’ve seen so far. A causal reminder here that neither Pruitt nor our president is certain human activity causes global warming. We’ve reached out to the EPA to confirm exactly how many science advisors are being removed and will update if and when we hear back. Maybe we’ll get lucky and only half of the scientific advisors for the most powerful environmental regulatory body in the country will have dubious ties to fossil fuel industries?